So this little guy is taking his sweet time and has not decided to show up yet! I want him to come when he is good and ready but I am trying not to get impatient! I want to see him, hold him, smell him! Not to mention get this labor thing over with! But until then I have been keeping myself busy with a few home projects. As I shared here I have been crazily motivated these last couple weeks to clean my house from top to bottom and get some things done that I have been wanting to do for a long time but just never got around to. Is it hard for you to do things when you aren't motivated too? 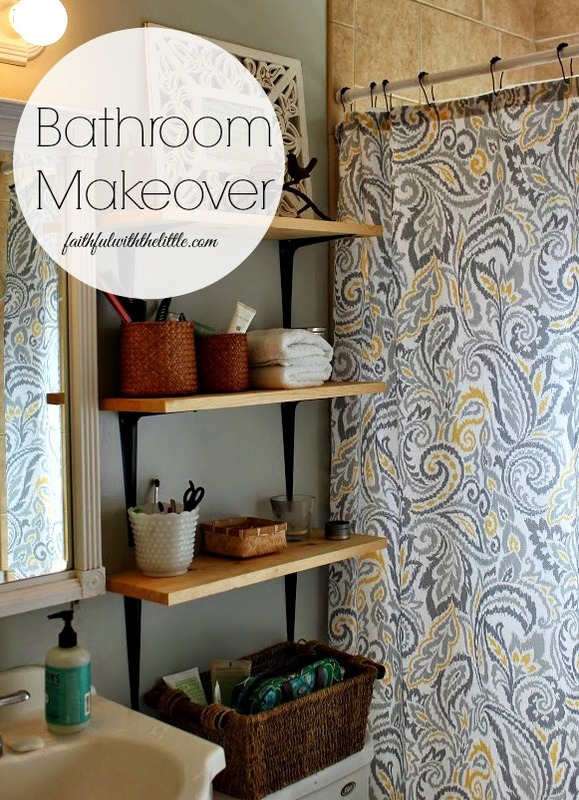 I was inspired by Kim over at turning it home with her bathroom makeover, so I decided it was high time I did something about mine; especially since it has a very high traffic flow, with now 6 people using it! We are going to have to start scheduling appointments! 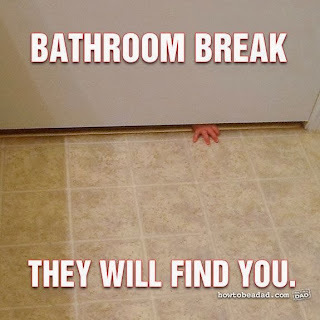 We usually just scream out," I'm going to be using the bathroom, so if you have to go, go now! 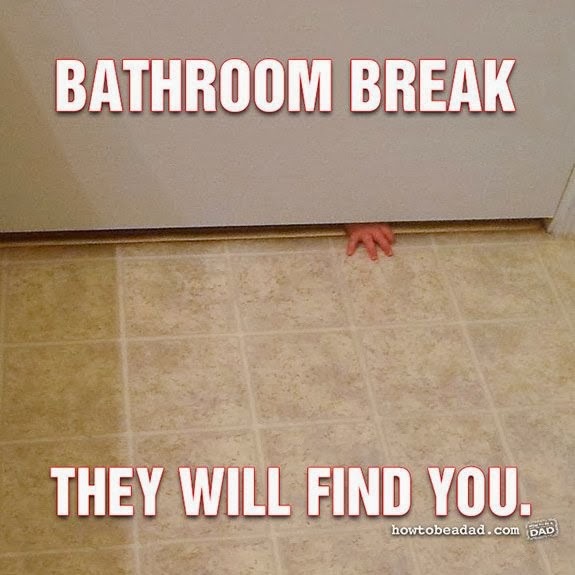 My kids always decide to start fighting or throwing tantrums when I am in there and pound on the door... it's inevitable! They painted it a nice grey, spray painted the light fixture white and my hubby put up some nice, practical shelves. I wanted him to stain them like Kim's but he didn't have any dark stain so I settled for the natural look. I am so excited with how it turned out! Paint, new shelves, shower curtain and some spray paint and I have a brand new bathroom. I just like to go in there and look at it... it makes me happy! I loved the watercolor picture that Kim put up and remembered I use to dabble with water colors. I found this simple painting I did a long time ago; it actually doesn't look that bad! I hope this inspires you to get motivated and spruce up some things around your home! Its amazing how adding a few new things, some paint and elbow grease can make everything look brand new! I find that as I try to make the most of the home we have been given instead of complaining about it, I am more content and thankful to be here. Can't wait to show you what else I have been up to around my house! Any projects you have finished that you have been putting off forever? Looks great! It's amazing what new paint and a few new touches can make. Thanks Karen! Yes it is!! Yes! It's amazing how a little paint can change the whole look of a place! Thanks so much!